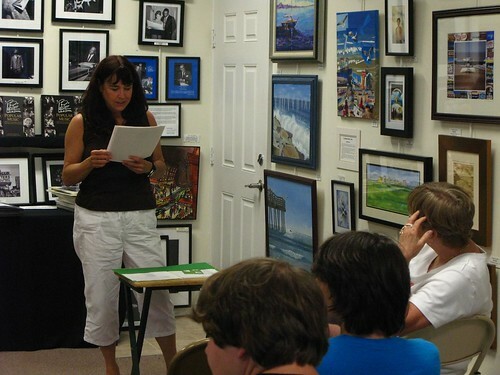 Here’s the four beautiful photos from Friday, July 24th, 2009 at the Ocean City Fine Arts League Poetry Open Mic! Karen Bruno reads an emotionally charged poem about marital abuse and divorce. Host Bud Cole explains the rules of the open mic. Poets Alma Pesiri, Barbara Brenner, Karen Bruno, Bud Cole, and Jonathan Caracido prepare before their performances. 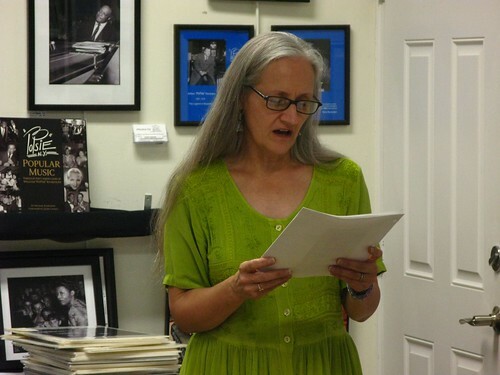 Barbara Brenner recites some of her favorite poetry to the guests of the League. There are also higher resolution versions of those photos. Email me if you are interested. 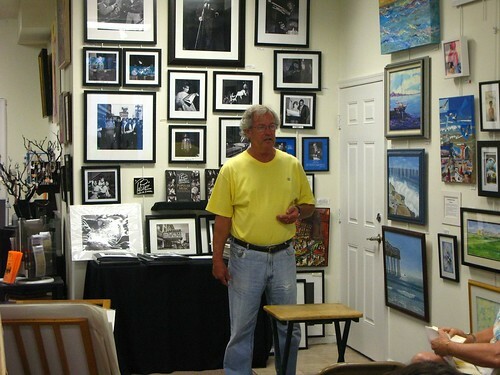 The Ocean City Fine Arts League, soon to be known as Art on Asbury, is a quaint little art gallery nestled right in the heart of Ocean City (located at 608 Asbury Avenue). Paintings, sketches and photographs hang neatly on the walls, and the din from the street outside can be heard as a muffled whisper through the front door. Every fourth Friday at 7:30 pm, the League hosts a poetry-only open mic, run by a man named Bud Cole. He is a genial, lighthearted sort of fellow, with a friendly disposition that puts the mind at ease. According to Cole, the Rules of the open mic are simple: everyone gets a turn, then everyone gets another turn. No destructive criticism, and everyone must have fun. Oh, and nothing, absolutely nothing, is taboo. No one will ever find a closed door at the League, though young children probably shouldn’t be included on the guest list. This no-holds-barred attitude allows for the expression of many topics ranging from racism to political satire, spousal abuse to true love. Expect emotions to be shown. Expect laughter and tears, but most of all, expect people. Expect people telling stories through poetry. Whether through haiku, free-form or sonnets, the people who frequent this event feel comfortable enough to open up and tell those around them what they’re thinking. There’s even a professional poet in attendance; Ray Garman, author of the book Crossing Waters, makes regular appearances at the open mic, sharing both his own poetry and that of his favorite poets. That’s another thing: the poetry recited doesn’t have to be original. It’s perfectly acceptable to read works penned by other authors. In fact, when I went, one woman recited several haiku written by her daughter living in Arizona. 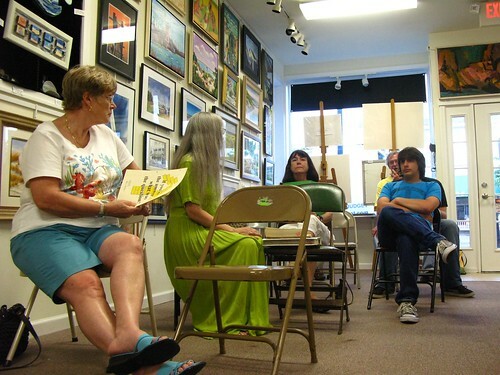 The gallery is a small one, but the crowd that gathers there is welcoming, providing a great environment for any poet, especially those who are more up-and-coming than others. There’s seating for fifteen people, give or take, and a handicap-accessible bathroom in the back. All in all, this place is a pretty neat venue, definitely worth the trip if you’re in the area. Here are pictures from last night at Gregorio’s Market! 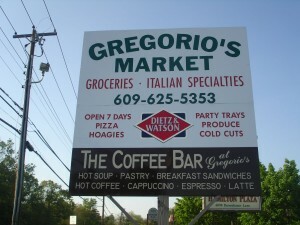 In case you haven’t read about it, you can check out the overview of the Gregorio’s Market open mic. 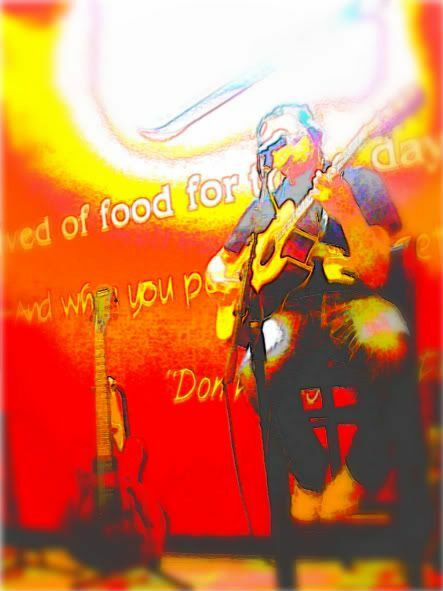 Sarah Bucknam is the host of the Gregorio’s Market open mic in Mays Landing. Here are some pictures from Alternative Soul, hosted by Ray Tyler at Pratt’s Hill of Beans in EHT, NJ. 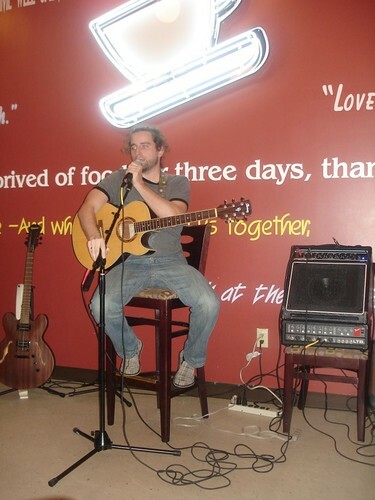 Held on Thursdays, this EHT open mic was one of the first reviewed by JerseyMic. Alternative Soul is getting larger and larger! And there’s no surprise: this Thursday was their first year anniversary of Alternative Soul. 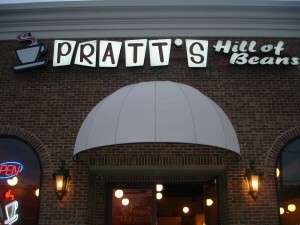 Congratulations to Pratt’s Hill of Beans and Ray Tyler for keeping such a wonderful night for everyone to enjoy! We stopped by to support the open mic on its one year anniversary. (Not everyone that was there is pictured). So this time we’re going to use a Flickr slide show.